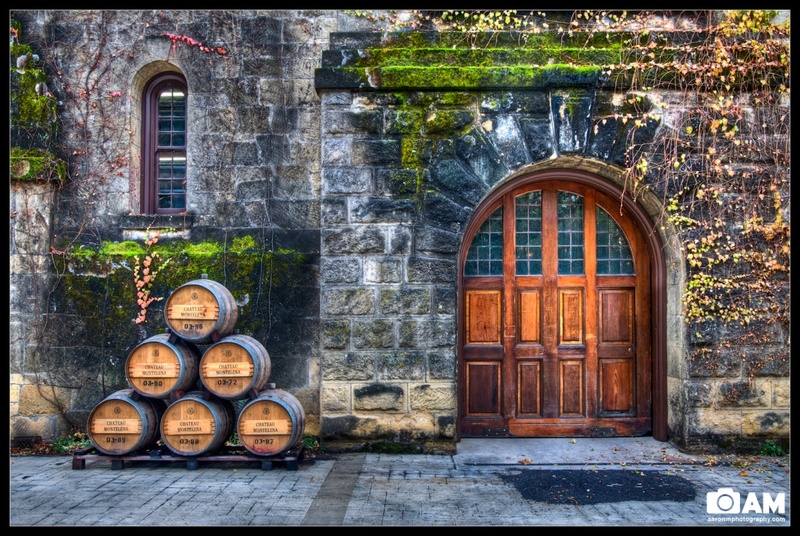 I posted a shot the other day of my friend leaning against these wine barrels and today I’m posting a wider shot of the front of the Chateau Montelena. Chateau Montelena is a Napa Valley winery most famous for winning the white wine section of the historic ”Judgement of Paris” wine competition. Chateau Montelena’s Chardonnay was in competition with nine other wines from France and California under blind tasting. All 11 judges awarded their top scores to either the Chardonnays from Chateau Montelena or Chalone Winery, another California wine producer. Chateau Montelena was featured in the 2008 film Bottle Shock. We didnt really like their wine, but their Chateau was pretty cool looking! Previous Post I’m Gunna Be Rich!